Behold, the Google Home Mickey. It’s an official collaboration with Google and Disney that OtterBox is selling for $20. 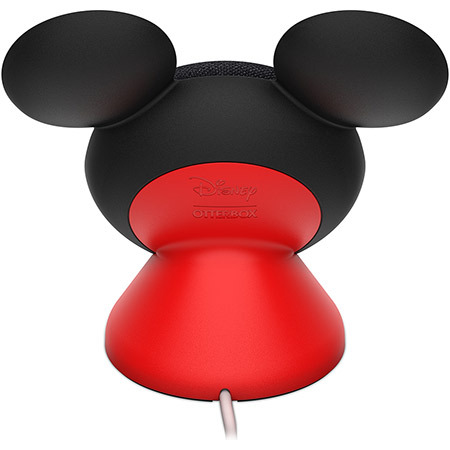 The base props up Google’s best-selling smart speaker and gives it iconic mouse ears and red suspenders in the process. It also helps the Mini project by propping it up at an angle. Oh, and the power cord happens to double as a tail. 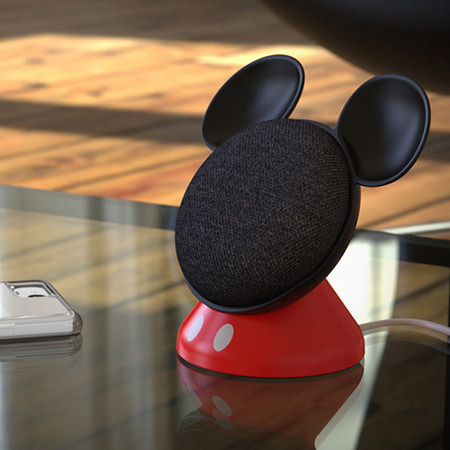 The clunkily named Den Series for Google Home Mini featuring Disney Mickey Mouse will be available through the case maker’s site. No specific availability just yet, and yes, Home Mini is sold separately. Apparently the product wasn’t able to sneak its way into today’s overly crowded Google hardware keynote. But then, the company didn’t spend much time on the Home line, outside of the new Hub. No word yet on Donald, Goofy or, most appropriately of all, a Google Home Minnie.